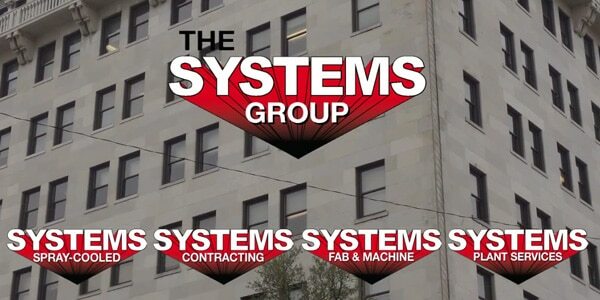 The Systems Group is a diverse group of companies that interact with each other to offer a suite of services to heavy industry. We are a family owned company with 45 years of taking care of the customer. Systems Contracting builds new processing facilities. We can be the general contractor on a project or a sub contractor self performing process piping, millwright services, steel erection, and concrete. 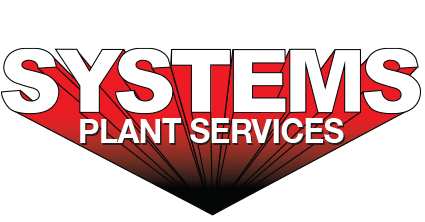 Systems Plant Services keeps your plant running. We can provide craft labor to maintain and repair your process facility in a variety of industries such as steel mills, chemical plants, oil & gas, pulp & paper, and so many more. Systems Spray-Cooled provides, ferrous and non-ferrous, melt shops with safe cooling equipment around the world. Systems Fab & Machine will build just about anything you can dream up. These are our fabricating and machine shops that custom build things out of steel for our industrial & commercial customers. Chief Executive Officer Charles (Chuck) Hays, Jr is Co-owner of the Systems Group and CEO. Note from Chuck: My father, Charles, always believed that you have to treat both your employees and customers with respect or you would not have either one for very long. Those are values that we hold on to as a company and one of the reasons we have grown to the size we are today. Our business really is all about relationships which we work very hard to maintain. We have always looked for employees who desire a career not just a job with a company and we have strived to be the kind of company that people want to stay with long-term. Not only is it our motto but it is our true belief that, “Our Employees Make The Difference”. Chief Operating Officer Mike Hays is Co-owner of the Systems Group and COO. Note from Mike: Systems was founded on the traditional values of my father, Charles Hays. He knew that both customer service and respect for our employees was key to all of our operations. These values continue as our main focus today. From our qualified craft positions, to our growing management team, “Our Employees Make The Difference”. When we start a project we finish it. Customer service is always our number one goal. Our extensive list of references for process piping, structural steel, structural concrete, and equipment setting for heavy industry speaks for itself. When you want a job done right, give us a call. President Lee Morgan is Co-owner and President of the Systems Group. Note from Lee: At Systems, we are building America! Industry is growing in the USA and Systems is here to help build and maintain those processing facilities from steel mills, to chemical plants, to oil and gas…we can help. We provide craft labor that is hard to find these days, and we will deliver on our commitments, I promise that.